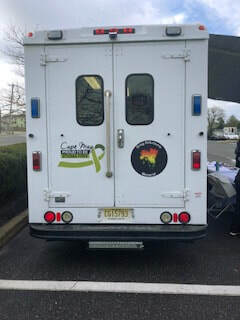 The Greg DiAntonio Memorial logo has been added to the Hope One Van of Cape May County as one of their several supporters. 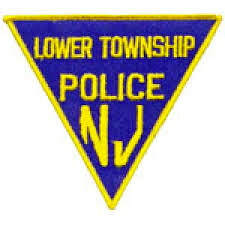 Hope One will travel to locations throughout Cape May County each week, bringing addiction services to persons in need. They are able to give clients immediate access to services and treatment facilities, putting them on the road to recovery and wellness prior to having contact with the criminal justice system and even avoiding overdose. Also Narcan training is administered on site and kits are provided to family members and friends of those suffering with opioid addiction upon completion of the training. 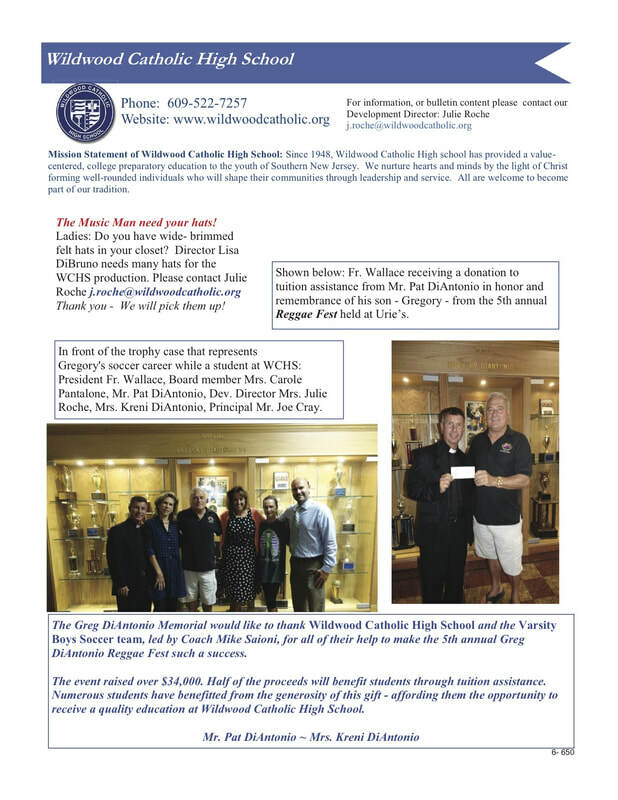 The Greg DiAntonio Memorial gave Wildwood Catholic High School a check for $26,500.00 for tuition assistance. 2018 is our biggest year yet, we were SOLD OUT again despite weather cancelations. The memorial can not thank you enough for your continued support and donations that make the Reggae Fest a huge success. The date for 2019 will be either September 8th, 15th or 22nd. We will know the exact date by April as soon as the NFL schedule is posted. We are planning on people coming by boats next year. If anyone has interest of utilizing a slip we will make up a sign with your name and your boat name on it and post it on the slip of your choice. Limited slips so please let us know. Please spread the word for the Reggae Fest by giving your family and friends our website www.gregdiantoniomemorial.com. We have already posted new pictures from the past 2018 Reggae Fest. Hope to see you all next year. Keep an eye out for our Reggae Email blasts keeping you informed of where your donations have gone to work and for upcoming events. We would like to thank all of you for your donations, your gifts and your support right down to your purchase of a single ticket. 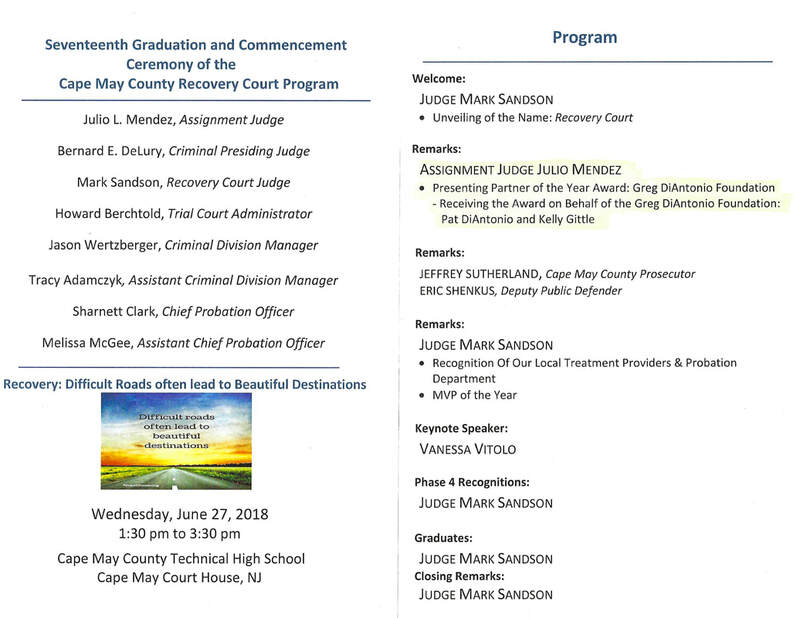 There is a good portion of the ticket cost that goes to community service, Wildwood Catholic High School tuition assistance program, gym memberships for people in recovery, transportation costs to help people get to individualized programs, to support police in prevention, narcan to save lives, supporting the Hope Van, and more. Although Kreni and myself may lead to produce the Reggae Fest, each year, it is you all that comprise the bulk of the “Friends and Family” in the “Greg DiAntonio Memorial”. It is through your support that makes the memorial such a success. Half of the profits go directly to help families with tuition assistance that affords students the opportunity to receive a quality education. The other half of the proceeds will be used to help educate and raise awareness of substance use disorder in our communities, erase the stigma and offer recovery options to those that are struggling. All monies stay in our local communities. We hope you all realize how much a part of the memorial you all are and how much we appreciate your support and always will. We are already working on 2019 annual Greg DiAntonio Reggae Fest. The possible dates for 2019 will be Sunday the 8th, 15th or the 22nd of September 2019. As in past years, we will notify you of the exact date. It is always established based on the NFL schedule which is not posted until late April. However, the date of the event always falls on the first away game of the Philadelphia Eagles and soon after we will be mailing you a color brochure and a new Reggae magnet with the exact date. Again, we would like to thank you from the bottom of our hearts for making this years event such a huge success. We look forward to seeing you again next year. Hope One is a community based outreach vehicle staffed with highly trained professional in the field of mental health and substance abuse prevention and recovery. The goal of Hope one is to provide the community with information, resources, and immediate access to services and treatment facilities to get back on the road to recovery. It also offers free onsite Narcan training. It is through your generosity that we can continue to assist our community’s efforts to change lives. By saying "You are changing the world" The Greg DiAntonio Memorial Foundation would like to thank every ticket purchaser or donation provider because the you is all of "YOU". 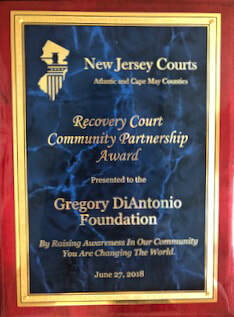 The Greg DiAntonio Memorial Foundation was presented with the "Partner of the Year" award at the Recovery Court Graduation ceremony. Although I received the award on behalf of the Foundation, I wanted you to know that you all are also the recipient of the award by supporting and contributing to the Foundation from the simple purchase of a ticket to a charitable donation. The Greg DiAntonio Memorial Foundation would not of received the Partnership of the year award without all of you. It is to all of you we are now presenting this award. Our dear friend Darleen Kelly passed away suddenly at the young age of 53. She was a loving and nurturing soul who cared so deeply for those in need. 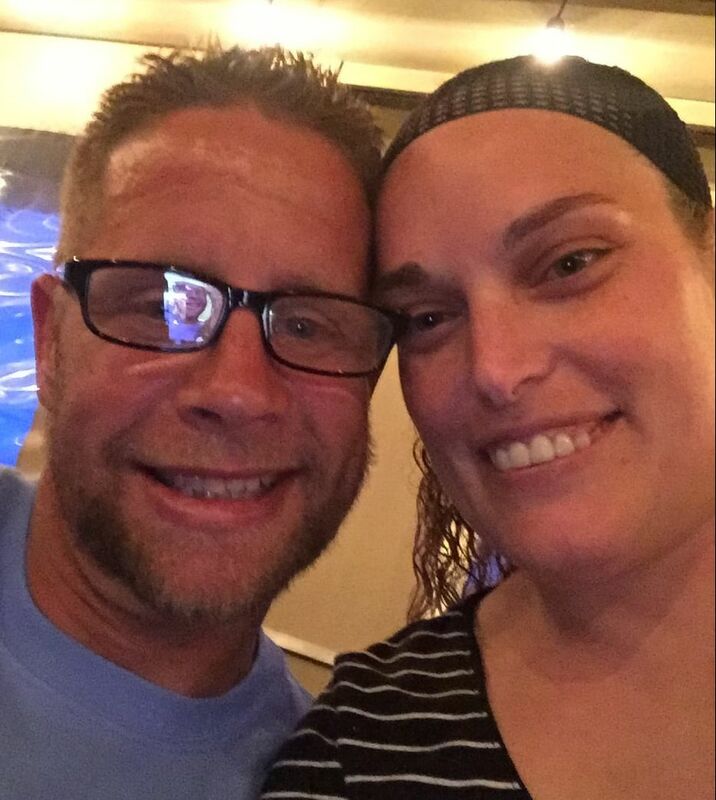 Her family has asked that donations in her memory be made to Greg‘s Memorial Fund. 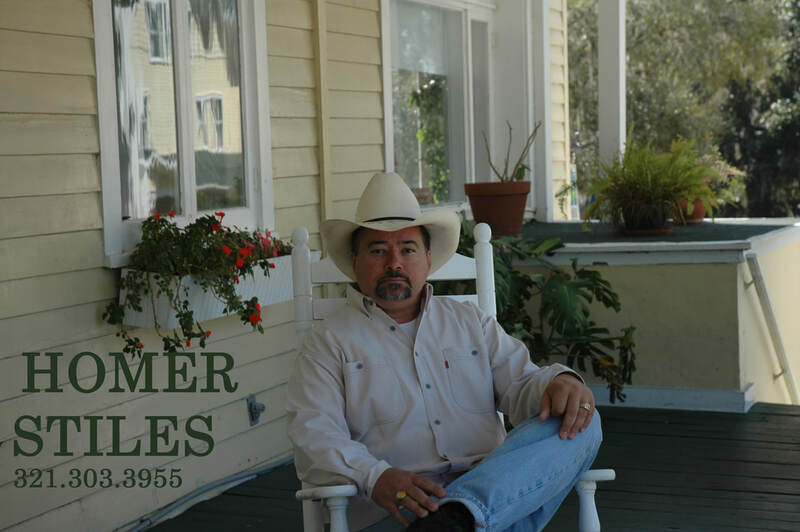 They know that our commitment to helping others parallels Darleen‘s. Now her earthly mission will continue through the generosity of friends and the work we do through Greg‘s Foundation. Thank you to the Kelly family for giving us the opportunity to perpetuate Darleen’s name in such a selfless way.! ​ Together we will make a difference !! 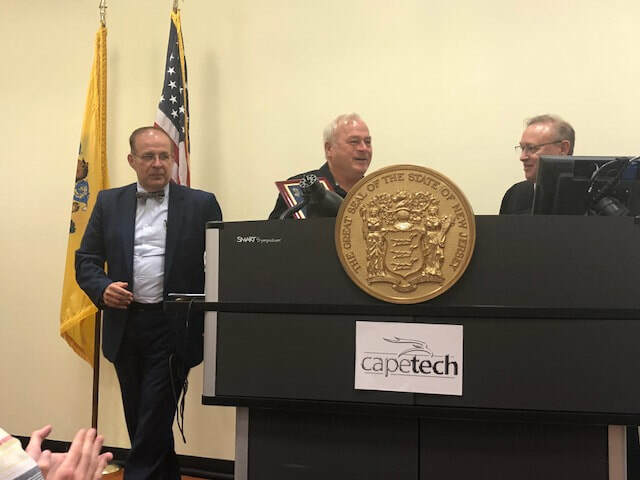 ​The Greg DiAntonio Memorial Foundation has partnered with CURE Christians United for Recovery and CARES Cape Regional's Addiction Recovery Services to provide funding for people needing access to transportation for substance use facilities. Sueanne Agger board member of CURE and Patient Navigator of the CARES program has identified access to transportation for people with no insurance, no automobile, limited finances and our geographic location as major barriers for people needing to get to treatment. With this new partnership we will be able to coordinate and pay for transportation. Agger states, " we can provide the best motivation in the world to go to treatment, but it doesn't matter if a person has no way to get to it." Thanks to the Greg DiAntonio Memorial Foundation they have solved one of the biggest barriers people face with a substance use disorder. A COUNTRY WESTERN RECORDING ARTIST AND A GOOD FRIEND OF GREG'S HOMER STILES DEDICATES A SONG "THE DANCE" AT EVERYONE OF HIS PERFORMANCES ALWAYS KEEPING GREG IN HIS THOUGHTS. Through out the year the Memorial receives Thank you cards, personal letters, pictures and Christmas cards from individuals that received help from the Greg DiAntonio Memorial in one form or another. Here is just one of the many cards we received this year from a family doing extremely well. We wanted to share this card with you not only to remind you that you were a large part in helping this family but to also share the joyous feeling of saving another life. 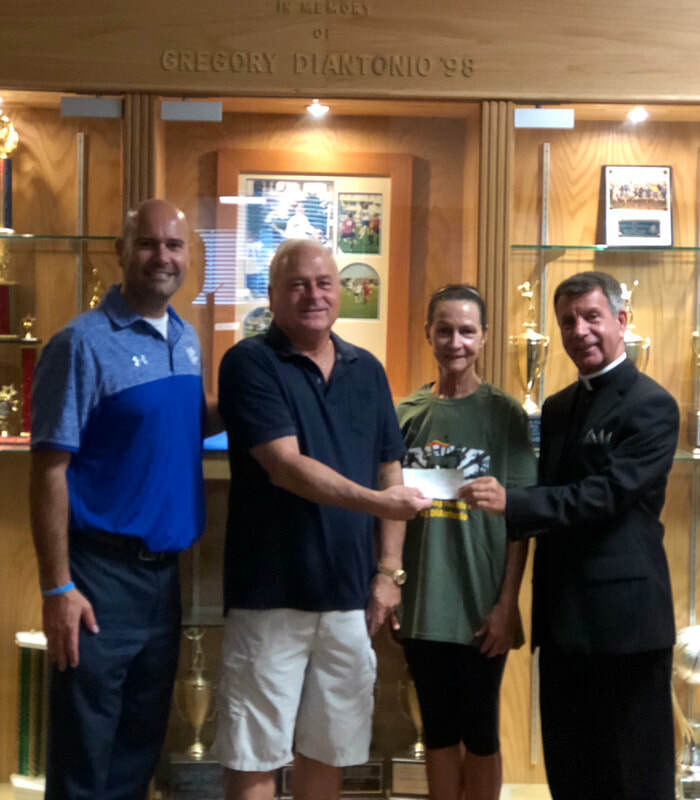 ​The Greg DiAntonio Memorial Foundation donated $17,500.00 to Wildwood Catholic High School. 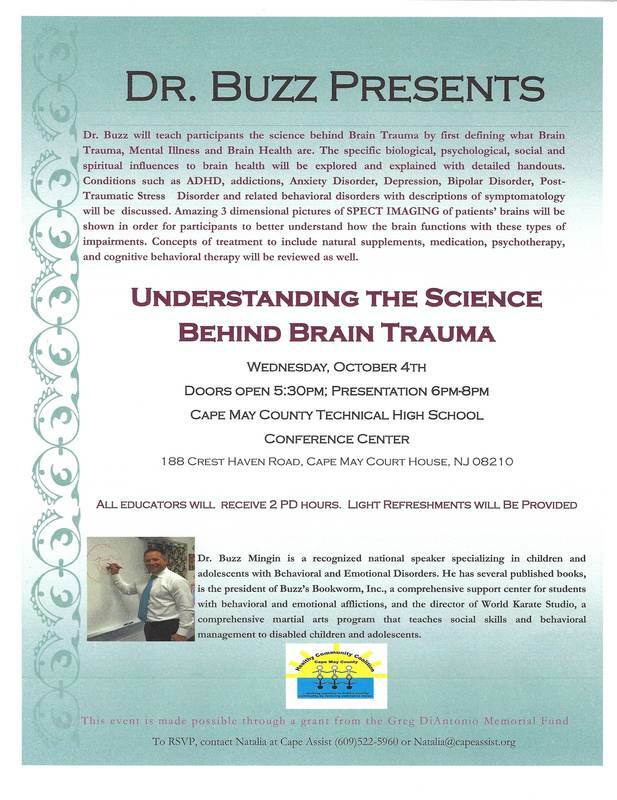 The Greg DiAntonio Memorial fund sponsored a presentation put on by Dr. Buzz Mingin at the Cape May County Technical High School on October 4, 2017.